Founded way back in 1986, the band released its 1988 demo on Wild Rags. 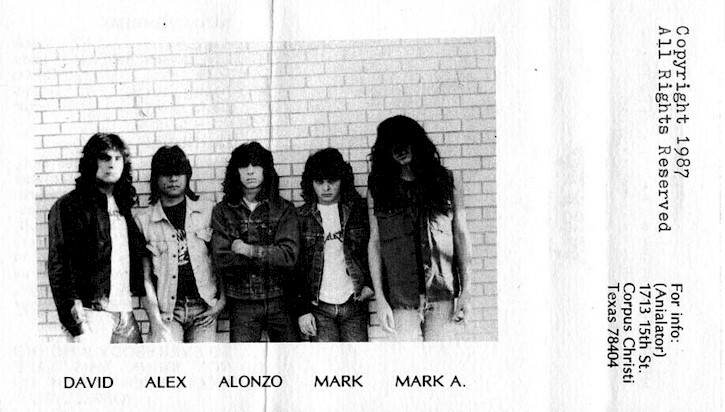 The original line up features Alex Dominguez who was part of DEVASTATION (USA - TX, not to be confused with DEVASTATION from IL). 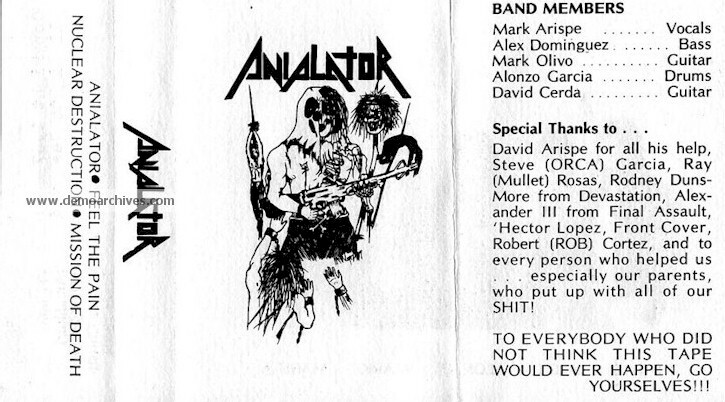 Despite of being really promising, ANIALATOR never managed to achieve a correct deal and the band split up in 1989. Some members formed SUFFERANCE.